There's no creature more loyal to man than the noble Yoshi. 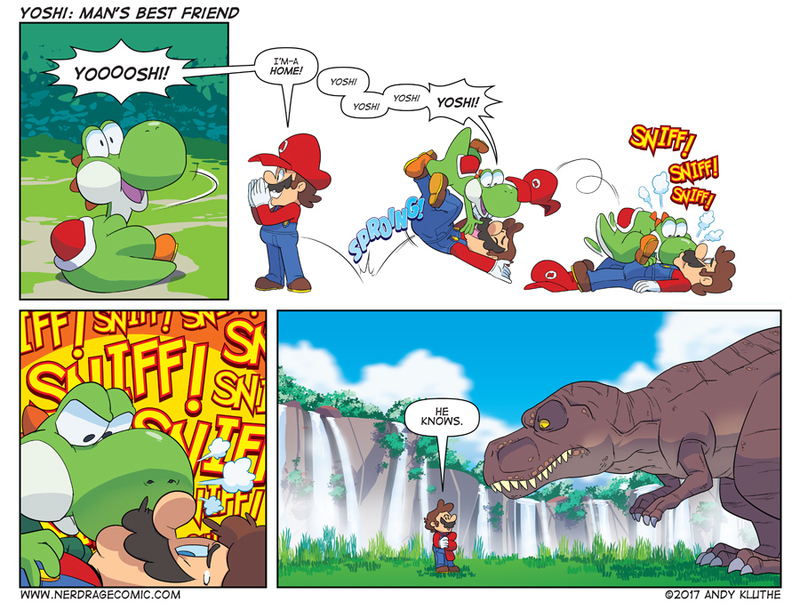 So if Mario can live in the same world as a giant semi-realistic T-rex...what does that make Yoshi? !